Tours depart at 10 am, 11.10 am, 1.45 pm and 2 pm throughout the year. Additional tours are run during the summer season (April to October). Take the 10 am tour to avoid crowds. We are comparing Best Venice Walking Tour and Grand Canal Cruise Prices from leading ticket suppliers and Try to find you Cheap tickets prices on the market. Perhaps it's your first time in Venice or your a little short on time, this half-day tour is the perfect way to see the best of this unique floating city. You'll also enjoy a semi-private boat trip by water taxi, drifting along pea green Canals below gothic mansion and passing under Rialto Bridge. Your tour will take you inside Venice's most famous landmark, St Mark's Basilica, built in the 11th century this is a perfect example of the Venetians wealth and one of the most impressive Roman Catholic churches in Europe, complete with Byzantine artworks, golden mosaics and marble flooring. This is great if you only have a few days in the city, the walking tour will show you the most important sights and landmarks in the city. Suitable for small groups or independent travellers but not practical for disabled visitors or people with walking difficulties. Your Experience With Best Venice Walking Tour and Grand Canal Cruise? Combine the highlights of Venice in a compact, 3 hour tour. Cruise the famous Grand Canal and walk Venice's streets with a local guide, save time and skip the queue to St Mark's Basilica. 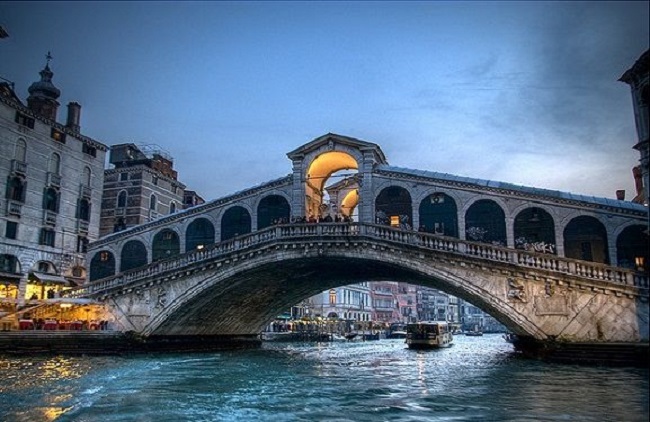 Explore Venetian architecture, Byzantine churches, grand palaces and the renowned Rialto Bridge. Enjoy a more personal experience with a small group guided tour. What Best Venice Walking Tour and Grand Canal Cruise Includes? 2 hour walking tour with an expert English speaking guide. 1 hour cruise by water taxi along the Grand Canal (maximum 10 people). Take this tour on the first day of your holiday, it will be a good introduction to the city and you can ask your guide where to visit next. Travelers Reviews about Best Venice Walking Tour and Grand Canal Cruise? On TripAdvisor the half-day tour with canal cruise has a 4-star rating. Reviews left on Viator give this tour a 4.5-star rating. This is a fairly new tour on the Get Your Guide website but even so it has 5 out of 5-star feedback. Comments agree that the walking tour guide was very knowledgeable and attentive to participants. Although the guide does not accompany you on the boat, travellers point out the water taxi is uncrowded so all passengers can sit outside an enjoy the views. Please bring your ticket, either printed or electronic. Fee's may be charges for cancellations made less than 1 week in advance. Skip the entry tickets are valid only during the summer season, during winter season (November to March) queues for St Mark's Basilica are minimal. Entrance to St Mark's Terraces is not included unless specified by tour provider. St Mark's Basilica may be closed on some occasions for religious holidays or flooding. To enter the Basilica knees and shoulders must be covered and bags must be left in storage area.